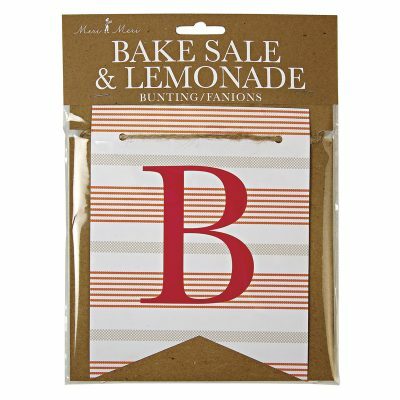 SKU: MM_4_0924 Categories: Red, Orange, Yellow, Bake Sale, Bunting Flags, Lemonade / Bake Sale, Lemons & Limes, ON SALE! 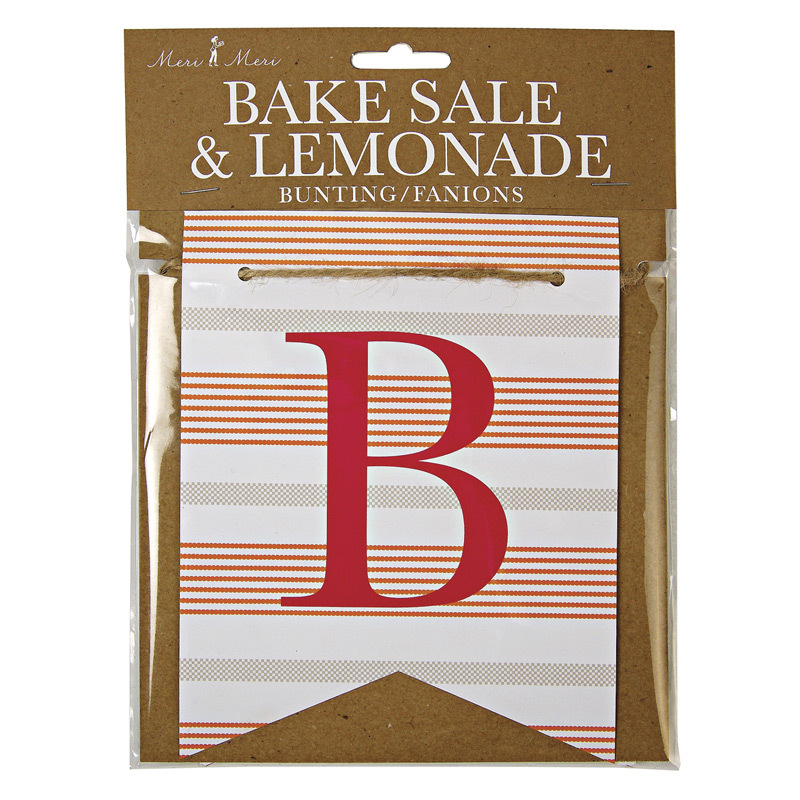 Bunting ~ Bake Sale / Lemonade is a brightly coloured bunting with a bold red stripe pattern that will really stand out. Perfect for a fun outdoor party or school gala.